Four Seasons Resort Maui invites guests of all interests to abandon the daily grind for a well-deserved vacation in paradise. Grown-Up Spring Break is one of the special initiatives the resort has planned for guests as part of its 2016 “The Best Keeps Getting Better” campaign. This April 13 through June 19, Four Seasons Resort Maui presents Grown-Up Spring Break as the perfect escape for couples, friends, or single travelers. 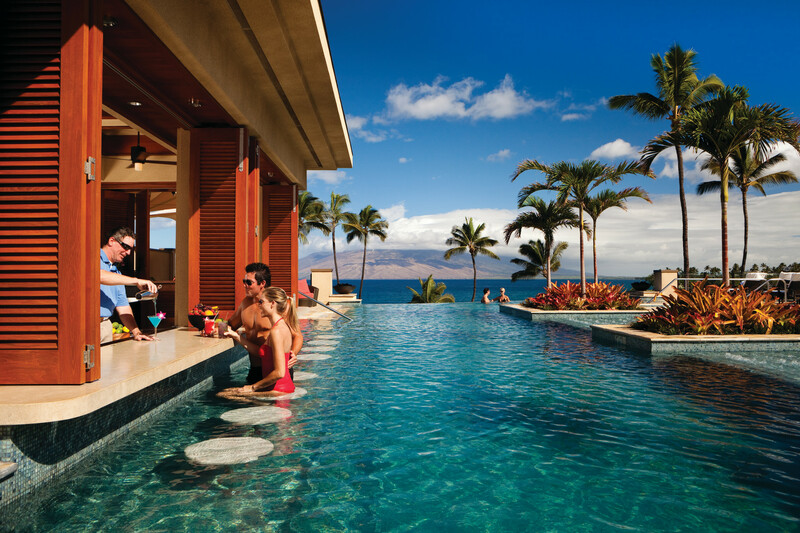 Maui’s first and only Forbes Five-Star resort is offering the best rates of the year with no resort fee along with a busy schedule of activities, many of which are complimentary. And there’s more: guests who book the popular “Experience More” package can receive up to USD 200 in resort credit per night, which can be applied toward the renowned spa, upscale boutiques, or award-winning restaurants. The adult spring break calendar will include complimentary extras including local craft beer tastings, cooking classes, pool parties, snorkeling, outrigger canoe paddling, morning yoga classes and many other activities. The resort is offering its most popular fitness class, stand-up paddleboard yoga, on a complimentary basis exclusively for this time period. For those looking to discover more of the island, the concierge is standing by with recommendations from exhilarating helicopter tours to picturesque sunset sails. “Our dedicated concierge team is ready to customize daily activities for guests of every age and lifestyle—from the adventurous to the indulgent, and everyone in between,” says General Manager Jean Claude Wietzel. “Guests can be as active as they like or practice the fine art of doing nothing at all.” For those in the latter category, the resort is famous for having perfected the luxury poolside experience. Guests simply check into one of the 58 complimentary cabanas across the resort, settle in, and prepare to be pampered by any one of the resort’s nearly 1,000 employees. Evian spritzes, sunglass cleaning, and perfectly timed frozen tropical fruit bites await those who want to do nothing but soak up the sun. Grown-Up Spring Break is one of the special initiatives the resort has planned for guests as part of its 2016 “The Best Keeps Getting Better” campaign. Serving travelers for the past 25 years, the iconic luxury resort is eager to keep building on the foundation that has created its legendary status: intuitive service, understated elegance, and luxurious amenities. Grown-Up Spring Break promises all this and more. To make reservations, call 1-800-334-MAUI (6284) or e-mail: reservations(dot)mau(at)fourseasons(dot)com. 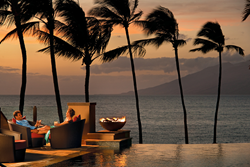 About Four Seasons Resort Maui: Maui's first and only Forbes Five-Star resort is nestled on 15 acres of the breathtaking Wailea Coast. The 380-room oceanfront property is world-renowned for its comfortable opulence, impeccable service, luxurious amenities and for living in harmony with its environment and community. A TripAdvisor Certificate of Excellence Hall of Famer, the resort in Maui is also home to one of the nation's top-rated spas committed to wellness and three of Hawaii's most acclaimed restaurants—Ferraro's Bar e Ristorante, Spago Maui and DUO, a premium steak and seafood restaurant. This sophisticated home away from home caters to the needs and interests of all generations—offering world-class activities with no Resort fee and one-of-a-kind Unforgettable Events, a museum quality art collection, three pools overlooking the azure-blue Pacific Ocean including an adults-only Serenity Pool with exclusive Missoni-designed cabanas, and more. Four Seasons Resort Maui is a Hawaiian vacation destination geared to action adventurers, those guests wishing to practice the fine art of doing nothing at all, and everyone in between. Four Seasons Resort Maui Grown-Up Spring Break -- Coast over reefs and along stretches of long golden sands as you try your hand at the sport of Stand Up Paddling. Four Seasons Resort Maui is offering its most popular fitness class, stand-up paddleboard yoga, on a complimentary basis exclusively for this time period. Four Seasons Resort Maui Serenity PoolPerched above Wailea Beach in a secluded corner of the resort, relax in our adults-only pool. Bubble loungers, hot tubs and a swim up bar all deliver pristine views of the Pacific.